How does a typical day in a sales development team look like? The key to smooth and effective workflow is a clearly established process. It should be quantifiable in order to measure and analyze the results. It’s important to know what you’re trying to achieve by your actions. Always have the overall goal in mind. Set up a timeframe for the implementation of your ideas. Plan your next steps in details and make sure all your team members are on the same page and understand what and when needs to be done as well as the main goal from the business growth perspective. The employees feel more engaged when they see the impact their work has from a bigger picture view. Treat the process as a work in progress and be ready to improve it over time. Technology development, business growth, new trends – all that has an impact on your workflow. In Woodpecker we devote the first hour of our working time entirely to answering the emails we received overnight from the prospects who live in different time zones. Reply time plays a key role in outbound sales. We need to strike while the iron is hot and turn prospects attention into a business dialog. After that, we gather together for a short weekly meeting. The way we manage our projects in the outbound team has the elements of SCRUM methodology. We set the goals for the upcoming week that are in line with the annual targets for the team and company. We portion bigger projects into smaller chunks. Approaching complex tasks with small steps is more effective for us. We also discuss last week achievements, draw conclusions from every little success or mistake, and give each other constructive feedback. If the goal for last week was not achieved we try to identify the reason and look for ways of improvement. A very important element of our workflow is writing down all the tasks on colorful sticky notes attached to a whiteboard. Each sticky note represents one task. Each task is assigned to an individual team member. Once the task is finished, it’s moved to the “completed” section. How do you share work in the team? The team consists of 4 persons: 3 Sales Development Representatives and the Head. We have various processes divided into smaller tasks, such as doing the research, prospecting, personalization or building the sales strategy. Each member of the team is assigned to his own set of tasks within a process they specialize in. Team leader oversees the work and coordinates the most demanding project. We put a lot of effort into lead generation. We try to make it as effective as possible, so we focus mainly on reaching out to prospects who match our ICP. Team leader discusses the best strategy with an SDR. Together they create a customer journey matrix and determine the best way to reach out to that specific group of prospects. What is your role as the Head of Sales Development? I make sure that every team member has the possibility to develop their skills and achieve their own professional goals. During individual meetings, we discuss their priorities and professional aspirations. Also, my role is to inform the team about business growth plans on a company level and long-term sales strategy. I provide the team with a broader context for the upcoming projects and initiatives. Who are your target prospects? Our ideal customers are SaaS companies, lead generation agencies, software houses, fast-growing start-ups, and consulting companies. We’ve noticed that they benefit the most from using a cold-email outbound approach. We focus on generating worldwide interest, but we mainly target the prospects from Central and Western Europe, USA and Canada. The size of a company doesn’t really matter for us. We have solo entrepreneurs as well as companies with 500+ customers onboard. Higher position usually implicates the decision-making power, so we typically reach out to Head of Sales, Business Development leaders, VP of sales, Heads of Growth or CEOs of small startups. They are most aware of the pain points and needs of their team as well as have the necessary resources. When you try to define your Ideal Customer Profile, think about the companies, which are most likely to succeed using your product or service. If they can achieve their desired results thanks to the solution you offer, they will become your loyal customers. Only when they feel that your product adds value to the development of their company, they will stay with you for a long time. Once you define your Ideal Customer Profile, you will be able to target your outbound email campaigns at the right prospects with better results from the very beginning. It’s not the end of the story, though. You need to keep your ICP up to date as your company develops. The ICP evolves with it. Your client base grows and becomes more diversified. Make sure to organize regular meetings with team leaders in order to rework your ICP according to the changes in your customer base. Thoroughly analyze the customer data. Sales team plays a crucial role in this process, but only in cooperation with the marketing team, customer success team and even the product development team, it’s possible to get a full picture of the traits and characteristics of your ICP. In Woodpecker, we put substantial effort into getting as much information about our customers as possible in order to draw conclusions and target look-alike companies. We’ve gone beyond internal discussions and, in order to gather first-hand data, we scheduled interviews with some of our best customers. We’ve learned a lot about their business priorities and experience with using Woodpecker. There were 65 interviews in total. The conclusions we drew let us validate or invalidate the hypotheses we had about our ICP. Additionally, we’ve deepened our relationships with the customers and let them meet people behind Woodpecker. If you’re a start-up that has just kicked off and you only have a vague idea of who your ideal customers may be, analyze the types of companies targeted by your competitors. 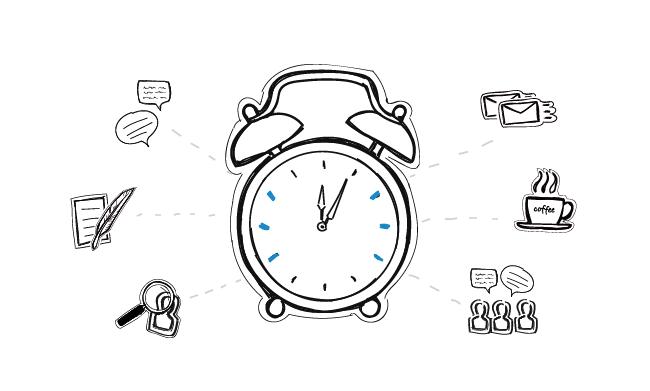 Start from there and rework your Ideal Customer Profile with time. Where do you look for new prospects? What B2B sales prospecting tools do you use? Creating a contact list that is rich in valuable, up-to-date information is a very time-consuming and, let’s be honest, mundane task. Plus, to keep the pipeline full, you constantly need to look for fresh prospects. Fortunately, technology comes to rescue. Prospect list building tools save hours of our time by automating the process, so we can focus our attention on planning out the campaigns and polishing up the strategy. We’ve tried out around 11 B2B sales prospecting tools so far including SellHack, FindThatLead, Quickreach.io, and UpLead among them. We assess their functionalities and post the reviews on Woodpecker blog. Finding well-targeted prospects to contact is crucial for starting valuable business dialogs. We hope our reviews will help other companies chose the most suitable prospect list building solution tailored to the needs of their business. Additionally, we research Google, LinkedIn, and Twitter to find the decision makers working in companies that meet our criteria to whom we direct the messages. We use the data gathered to personalize cold emails and follow-ups with customized snippets. What other tools does the outbound sales team use on a daily basis? Cloud tools help us improve and speed up many processes for better efficiency. We use Google docs to draft email copies and other content, like internal procedures and playbooks. It’s a good solution for teams because docs can be co-edited in real time instead of exchanging emails with attachments back and forth. Slack is the main communicator for our team members, but also for the whole company. We use various channels in order to organize the conversations and not to lose track of things. Each team has its own channel to discuss current projects and ad hoc topics. There are also some company-wide channels for announcements or general discussions. Basecamp helps us structure the projects and divide the tasks on a company level. We use it when we cooperate with other teams on some projects. Let’s say we’re working on a new project and need the marketing team’s assistance in creating email copy for a new campaign. We assign the task to a copywriter in Basecamp with a short description, so both parties are on the same page. We use Zoom for webinars, demos or video meetings with the customers. And of course, quite obviously, we use Woodpecker to send cold email campaigns to the prospects. It’s the heart of our operations. What are the biggest challenges for the outbound sales team? People new to B2B sales or having experience in inbound sales only should be aware that there are significant differences in taking care of inbound leads comparing to approaching outbound leads. Inbound leads already know a lot about the product and company. They found you online, came across your website or social media profile and signed up for a newsletter, trial or to get some extra materials like a free ebook. Whatever the interaction, it was their decision. Usually, an inbound lead has specific questions concerning the product or service. In simple words – they know what they want. It doesn’t mean you should leave them to self-service and limit the contact to solving their problems when they need it, though. Show the initiative. Ask them how the trial is going. Offer help. Be proactive. Building a relationship from the very beginning has an impact on their decision to churn or stay in the future. With the outbound leads, you are to guess the needs of prospects. Since they most likely never heard of your product before you need to provide context for your solution and reason why you decided to reach out to them. Engage them in a dialog and lead them step-by-step through the onboarding process. Prospecting is one of the most important elements of a Sales Development Representative’s work. It takes a lot of effort, time, and resources. Finding the most effective way to reach the right prospects is a real challenge. Knowledge of personal data protection acts and legal procedures in each country, such as GDPR, is crucial for an SDR. We always make sure that we respect prospects’ data and their wishes regarding processing the data. How do you measure success in a sales development team? We have a set of KPIs used to evaluate team’s as well as individual SDR’s performance. They reflect major business objectives and are in line with the company’s growth strategy. There are different metrics for measuring various processes, for example, the number of qualified leads generated, trials or conversion rate. What advice would you give to new Sales Development Representatives? Start with acquiring a piece of in-depth knowledge about the product as well as familiarizing yourself with the ICP. You should know all the nitty-gritty details of what you’re selling and to whom you’re selling it, thus you can highlight the features of your product that suit the needs of your prospects best. Invest your time in courses and trainings. Hone your skills. Learning is a continuous process. Whenever you feel too comfortable, it’s probably time to take a closer look at your working style and check if you didn’t get into a rut. Be on top of new trends in the industry. Every now and then attend meetups and conferences for salespeople. Discover and test new software, techniques, and strategies. If you stop your professional development, you will stay behind others. Trust the process. The results of your actions are not visible immediately. It may be difficult to stay motivated if you don’t see the effects at once. Don’t get discouraged. You will see the outcome with time. Be patient. Rome wasn’t built in a day. It takes time to achieve some level of proficiency in B2B sales. Measure and analyze the results of your cold email campaigns. Improve on the base of your conclusions. But getting prospect’s attention is just one side of the coin. Closing the deal is the other. The right questions to ask and the best ways to show the value of your product is something you learn with time and practice, provided you have the ability to listen to your prospects carefully. What resources would you recommend to learn more about sales development and business growth? Internet fora and social media groups are a mine of information for SDRs. To learn the secrets of selling you need to be where other sales specialists share their knowledge and experience. Check out LinkedIn, Reddit and Quora. What Hubspot, Salesfolk, Close.io, and RightHello have in common? Their blogs are a rich source of expert knowledge about sales. Make sure you read them on a regular basis to learn about interesting case studies, newest research, stats, and advice from sales gurus. Always learn from the best. Follow the advice of sales experts. Read the content they publish. Draw conclusions from their experience and think of ways you could implement their ideas in your projects. What do you look for when hiring a Sales Development Representative? We start by preparing an ideal candidate profile. In order to find the most suitable person for our team, we need to define the traits we look for in a candidate. Then we prepare specific interview questions to learn about a candidate’s attitude, skills, and working style. open-minded – routine kills creative thinking. Good interpersonal skills are very important for the role of a Sales Development Representative. We believe that both extroverts and introverts are fit for the job. It’s not about being a good talker but mostly about asking the right questions, being inquisitive, involving the prospect into a dialog, but also listening with attention. Good listeners are often good thinkers. They are better at understanding the needs and problems the prospects have and are able to offer a better solution. In our recruitment process, we aim at candidates who share Woodpecker’s values. We strive to maintain work culture based on partnership, trust, transparency, and communication. It’s the people who make the company great. Woodpecker Sales Development Team does a great job. Their hard work is a significant contribution to the company’s success. Thank you, guys! Now, tell us more about your outbound team. How do they work? Or maybe you’re not ready to hire a whole outbound department. Have you just started outbound? If so read this blog post at Predictable Revenue. Aaron Ross tells you exactly what to do to structure an outbound team at your company. Previous postWhat is the Risk of Embedding an Image/Video into B2B Email?